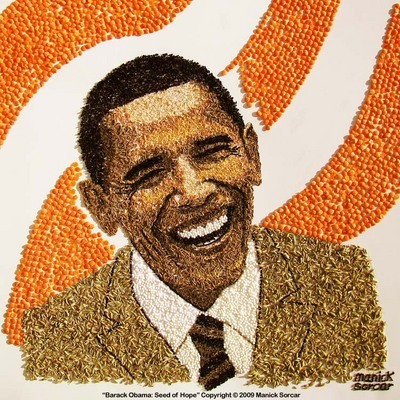 Manick Socar has created this amazing Obama image using seeds! Visit his website for more details on how he created the image. It’s a snowy, snowy day here in Cincinnati. 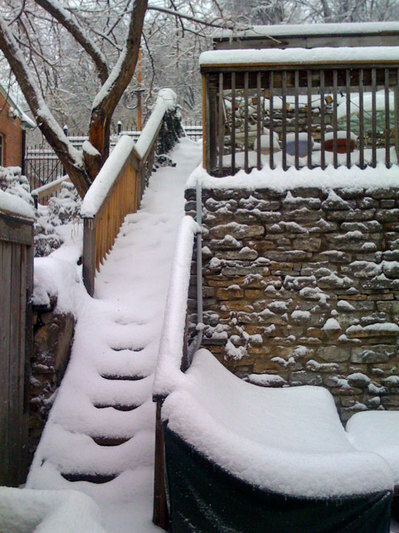 Snow, sleet, freezing rain, and then snow again with falling temperatures. It’s going to make cracking the magic shell around my car a challenging prospect when I decide to venture out again. It’s not the amount snow that’s unusual, but the 8 hours of sleet and freezing rain that fell between snowstorms. I’m a little worried about the tree that’s in the top left hand corner of the picture. This tree was split in half during the windstorm that we had earlier this year. The half that’s still standing is making some creaking noises as the wind blows it around. I’m not sure if it’s the tree creaking or the ice that’s on it. But the sun has just peeked through the clouds, so hopefully it’ll melt a little ice off of the tree. Do you know how to make your holidays last longer? Celebrate Chinese New Year! If you celebrate Thanksgiving, Christmas, AND Chinese New Year, you get around 6o days to enjoy the holiday spirit! I’ve done my part this year to extend the holidays, though it was not something I was planning on doing before the holiday season started. I bought a live/cut Christmas tree at Findlay Market a week before Thanksgiving. It’s been sort of a new tradition of mine, making a break from the really fake looking artificial Christmas trees that I had grown up with. Artificial trees are popular with cost conscious Asian families, but are lacking in the overall aesthetic. I’ve been meticulously caring for my tree, adding water to its container daily. So when the non-Chinese New Year rolled around, the tree was still beautifully lush with all its needles intact. I’ve been raised not to waste things, so I opted to keep the tree up with all its Christmas lights on. I’m the last house on the street with decorations still up. But it’s OK, Chinese New Year is here now. My tree is coming down this week, but it will have been around to help me celebrate the year of the Ox. May your year be happy and prosperous! Cross-posted from another blog that I contribute to. Street art hits the museums. Another Shepard Fairey article. Strong argument of why Kurt Warner is and has been a better QB than Peyton Manning. 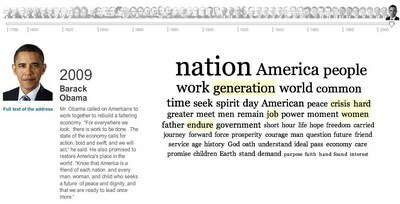 Interactive chart of most commonly used words in Inaugural Speeches from George Washington to Barack Obama. Tomorrow January 24, 2009 is the 25th Anniversary of the introduction of the Apple Macintosh. Here’s a young Steve Jobs doing one of his now famous presentations. Thanks to Alisa for sending me the link. 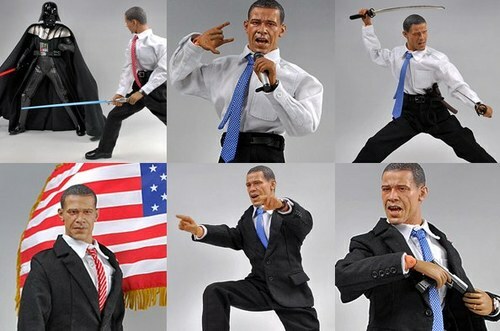 I feel safer from Sith Lords now that I know that President Obama is on the job. Looks like a Japanese company is making this. No word as to when or if this will be available for purchase. Thanks to Doug for sending me all of my blog material for today. Wonderful pictures from the Presidential Inauguration. After the flub heard around the world, President Barack Obama has taken the oath of office. Again. Chief Justice John Roberts delivered the oath to Obama on Wednesday night at the White House _ a rare do-over.